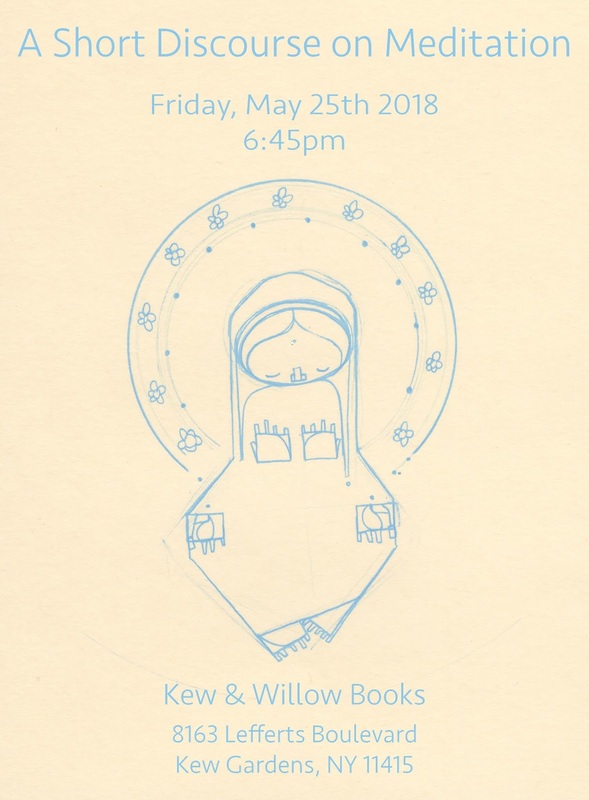 This Friday, join Kew & Willow Books as they celebrate the launch of A Short Discourse on Meditation. This small book is a comprehensive follow-up to Mihn, whose publication was one year ago. The evening will consisting of a discussion, Q&A and signing. "The summer months of 2017 provided the opportunity of setting out on a cross-country book tour in support of the publication of Mihn. As the book contains a mere 28 words, the tour formed itself into an opportunity to speak with folks about the importance and benefits of a spiritually-centered life. 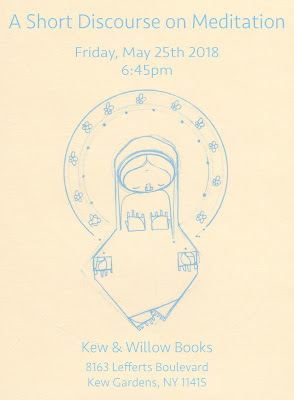 These talks addressed the elements contained within the story Mihn, in addition to their application through the cultivation of a regular meditative practice. While each talk was unique in its own way, they shared foundational commonalities. Originally titled Just Relax, the idea behind this discourse was to put those words into writing."